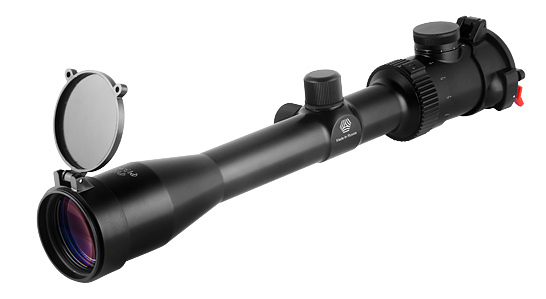 The scope represents all-metal body, it is more resistant in operation. Installation part of tube is longer, more convenient for mounting. 9 brightness levels of illuminated red reticle.